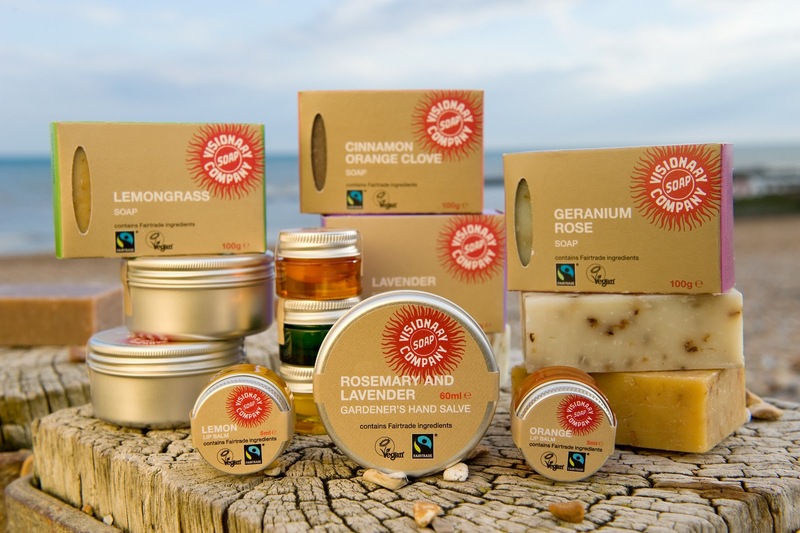 Visionary Soap is a company whose entire range carries the Fairtrade mark. They produce bath melts, soaps. lip balms and other fabulous products.Visionary Soap sent me a lemongrass bath melt, a full-size lemongrass soap, lemon lip balm, lavender soap sample, geranium rose soap sample and a cinnamon orange soap sample. The lemongrass bath melt, well what a fantastic little thing that is! It really moisturised my skin. It also made my bath smell fantastic. I used that along with the lemongrass soap, which lathered up on my bath sponge nicely. So yes I had a lovely luscious lemon bath! I love lemon, it is so refreshing and these products were great to make me feel better. I was feeling quite ill at the time. I then tried the lemon lip balm. This lip balm is great! It doesn’t make your lips sticky or anything. I did notice that the pot was on the small side, but a little goes a long way. The other soaps I have received are just as fab! The lavender one is great for a night time bath. It really makes me relaxed…which is great! I haven’t tried the cinnamon orange clove or the geranium soap yet but both smell absolutely divine. I am saving this for when I have used the lavender one, the lemongrass bar is now my hand soap. Smelling lemon every time I wash my hands…heaven! This entry was posted in Health and Beauty Reviews and tagged balth melt, Fairtrade, lip balm, soap, Visionary Soap.